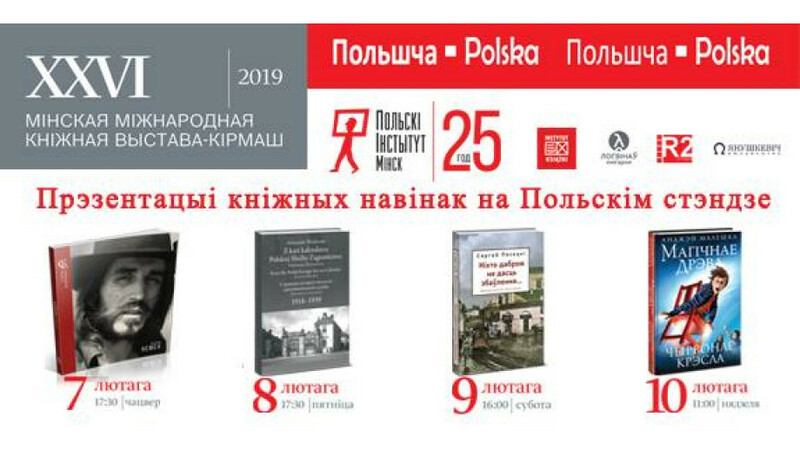 "Poland has been present at the Minsk Book Fair for three years now, after quite a long four-year absence,” said the director of the Polish Institute in Minsk, Cezary Karpiński. "This is an opportunity to let people know about oneself, present oneself, and promote oneself, but also to understand how the Belarusian book market is changing,” he added. "We try to present the widest possible offering in order to be able to attract the interest of different readers," said Karpiński. He emphasised that although the Belarusian market is still dominated by books in Russian, it is clear that the Belarusian-speaking sector is developing very rapidly. The Polish stand is adjacent to the Januszkiewicz publishing house, which publishes Belarusian translations of Polish publications. "This year, we are presenting together, among other things, a wonderful book for children Magiczne drzewo. Czerwone krzesło (“Magic Tree. Red Chair”) by Andrzej Maleszka. It will be presented on Sunday," said Karpiński. Promotional events planned by the organisers of the Polish stand also include the presentations of an album devoted to Czesław Niemen, the history of Polish diplomacy, and the third part of the Minsk trilogy by Sergiusz Piasecki Nikt nie da nam zbawienia (“No One Will Give Us Salvation”). The author of Kochanek Wielkiej Niedźwiedzicy (“Lover of the Great Bear”), who comes from the territory of today's Belarus, enjoys unwavering popularity also in this country. The national stand organised jointly by the Polish Institute in Minsk, the Embassy of the Republic of Poland, and the Book Institute consists of an exhibition section, where one can find the majority of translations of Polish literature into Belarusian, created with the support of state institutions, as well as a commercial section, where books in Polish and Belarusian are sold. This year, Ars Polona publishing house and, for the first time, Sejm Publishing House are present there. 300 exhibitors from 35 countries take part in the book fair in Minsk, which will last until 10th February. This year's special guest is Russia. [source: PAP (Polish Press Agency), Justyna Prus].